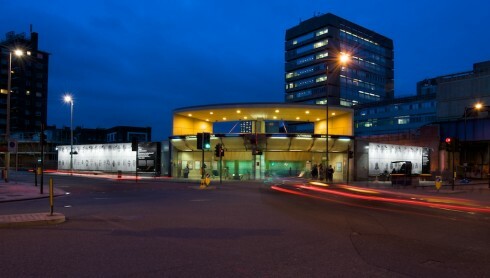 Linear by Dryden Goodwin installed at Southwark Underground station. 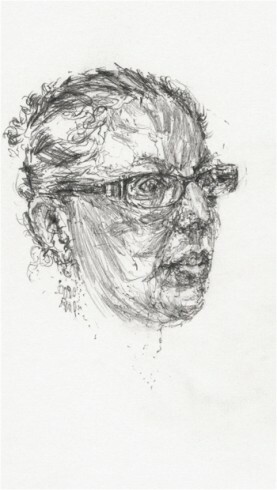 Part of the Jubilee line series. 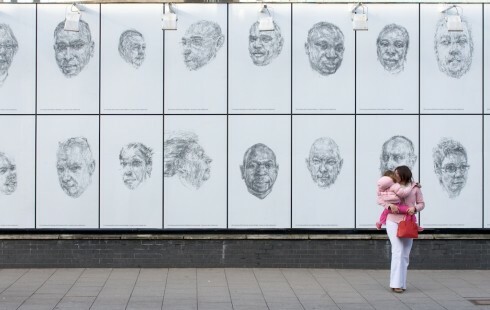 Photograph by Daisy Hutchison. 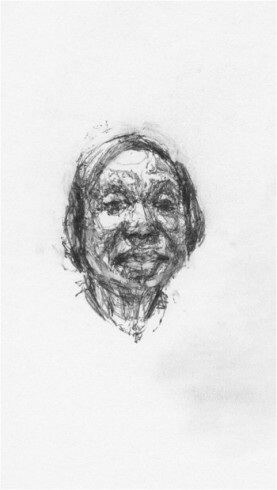 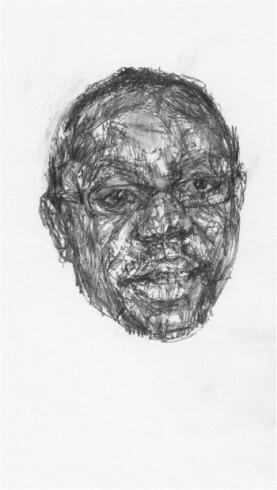 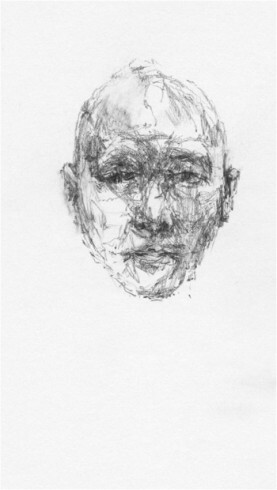 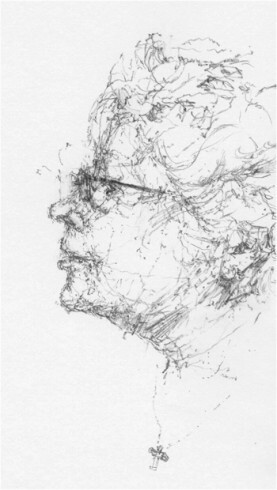 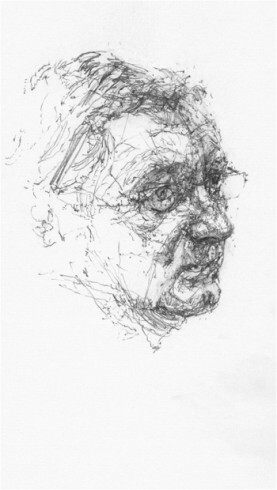 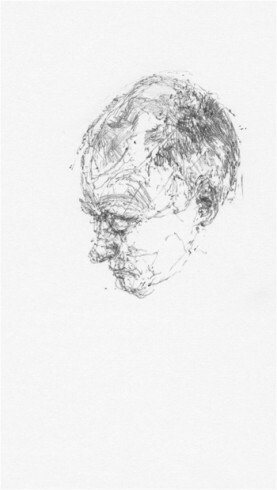 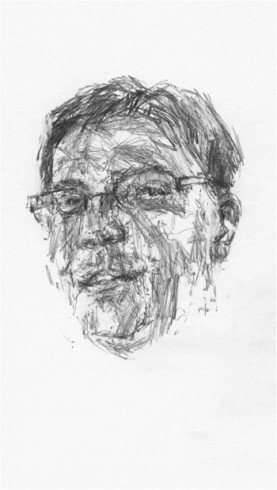 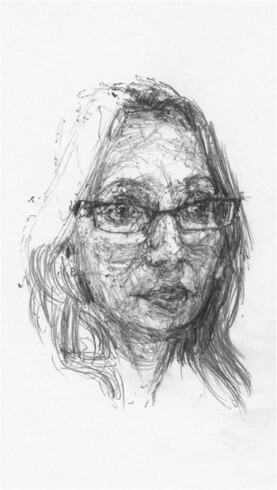 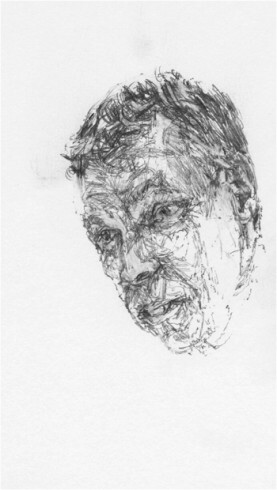 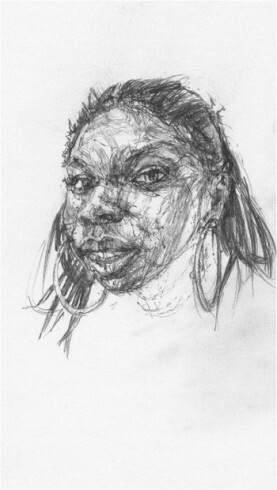 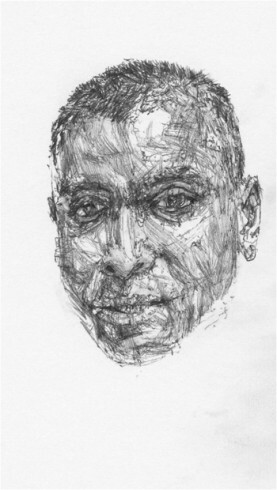 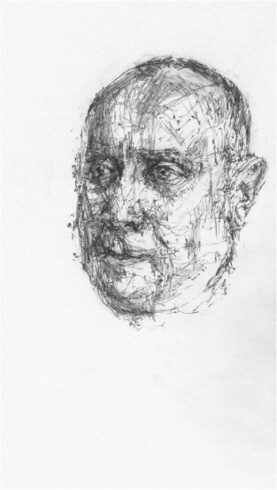 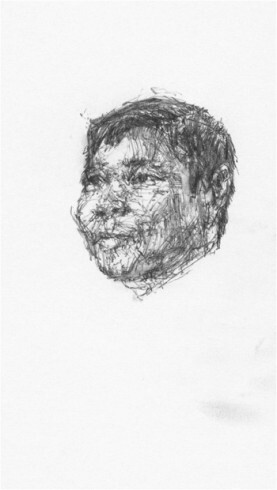 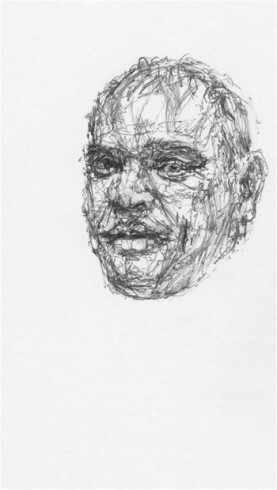 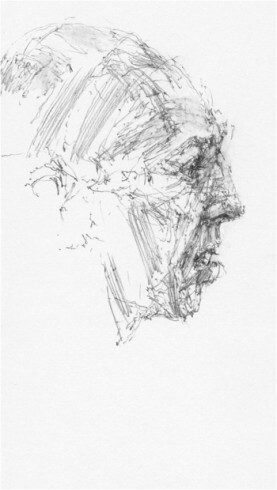 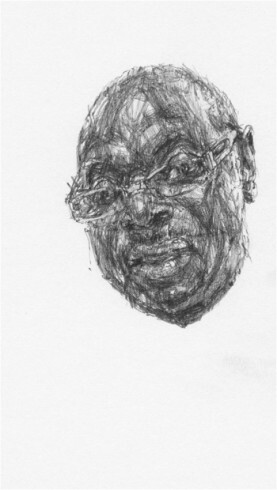 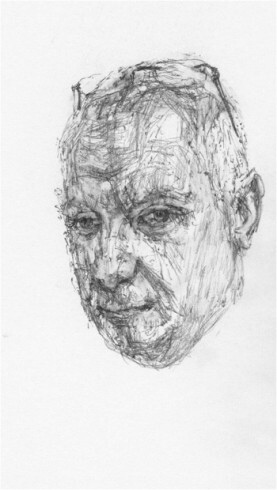 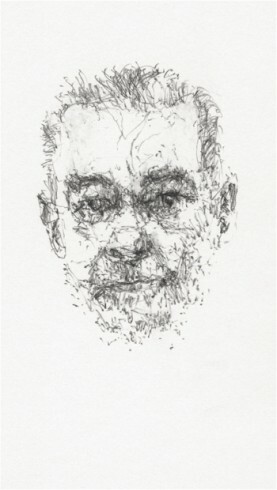 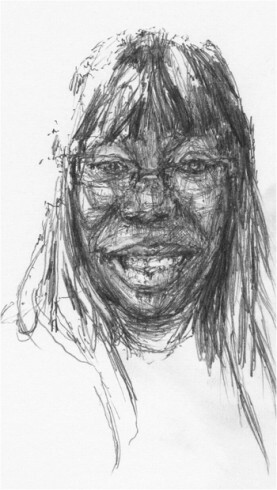 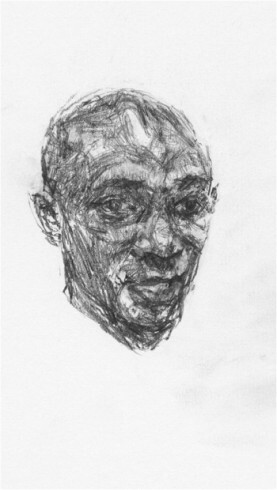 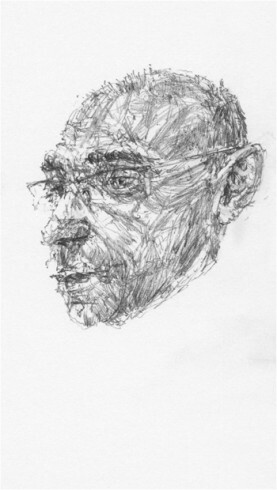 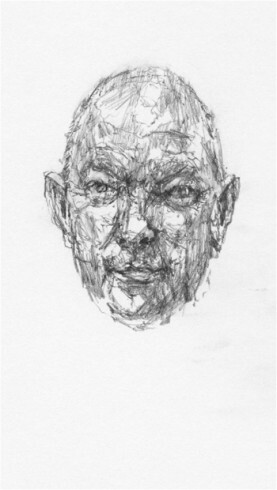 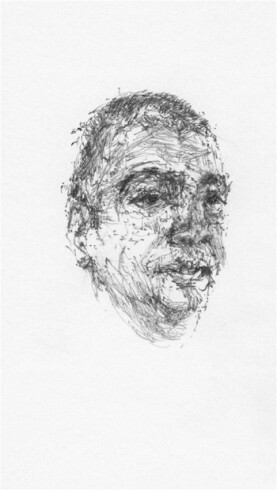 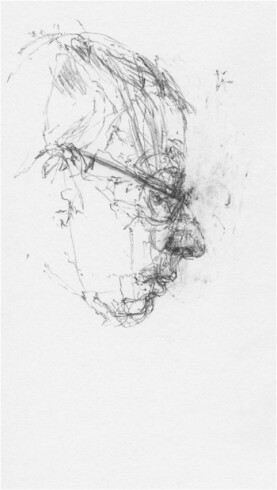 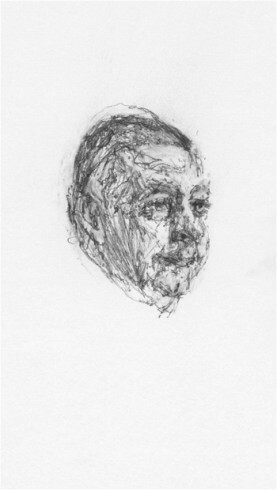 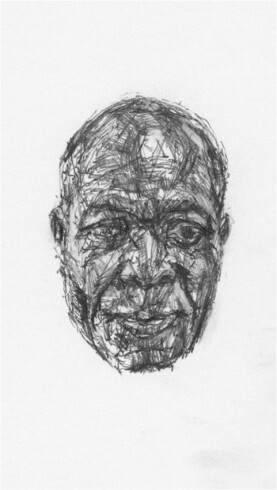 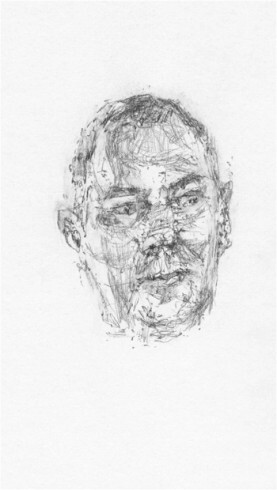 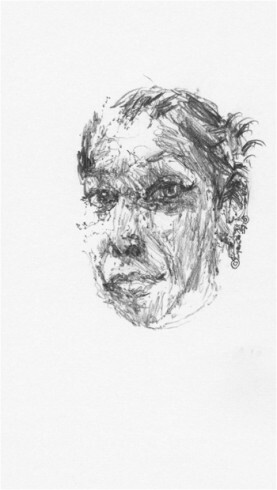 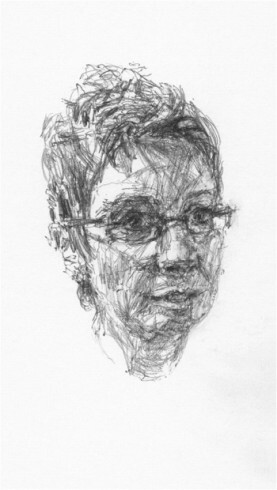 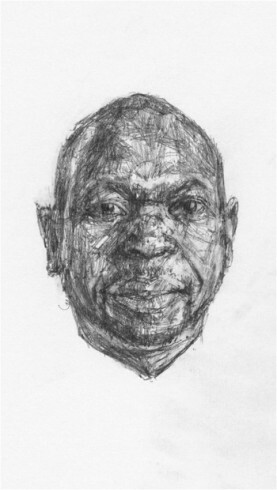 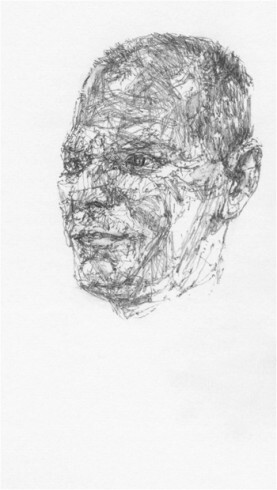 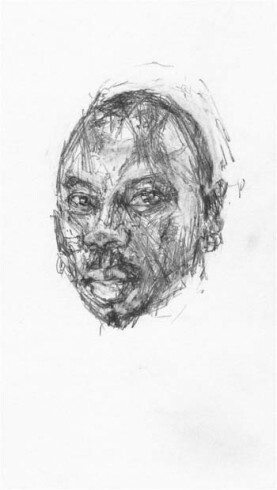 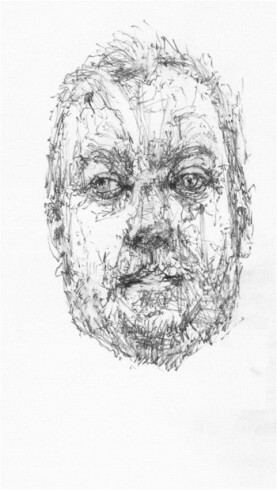 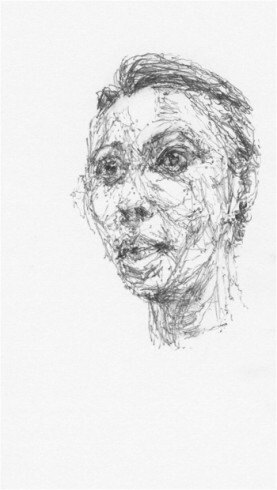 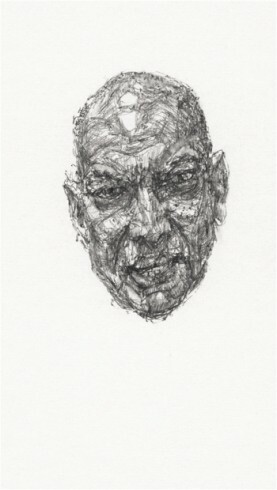 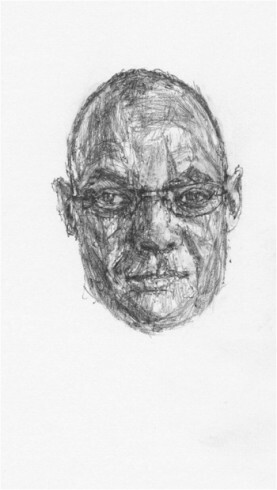 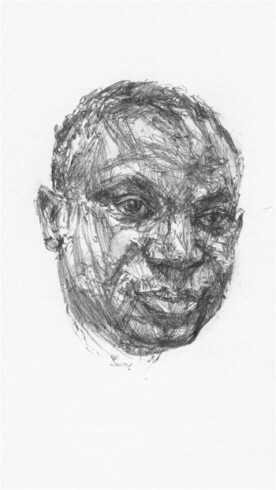 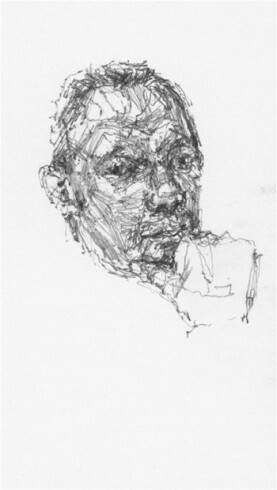 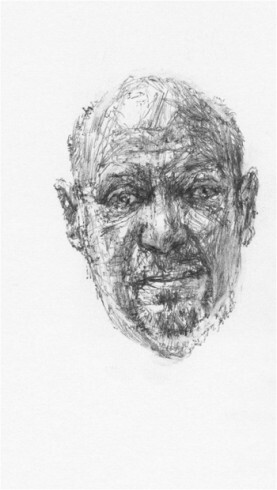 Linear, by Dryden Goodwin, is a collection of portraits of Jubilee line staff created for Art on the Underground. 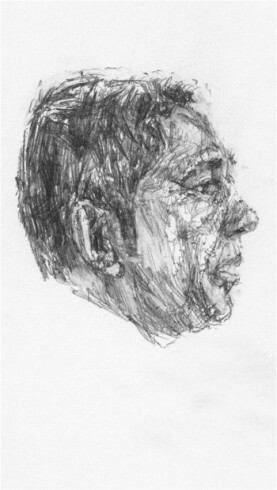 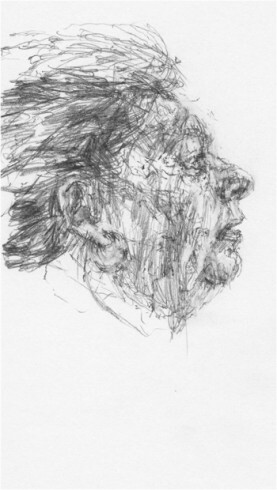 The 60 pencil drawings of staff at work, or at moments of pause in their day, are each accompanied by a film of the portrait being made. 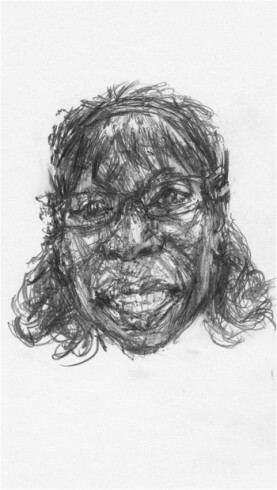 The films include fragments of the conversation between artist and ‘sitter’, together forming an intimate and diverse social portrait of this community of workers. 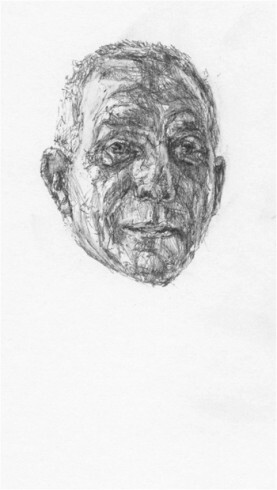 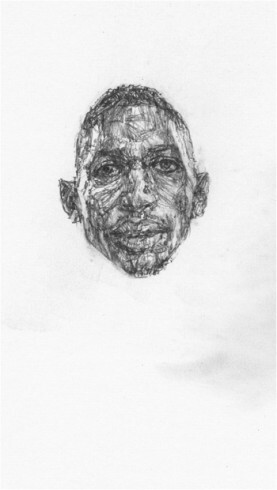 Goodwin’s work extends the limits of what portraiture can do. 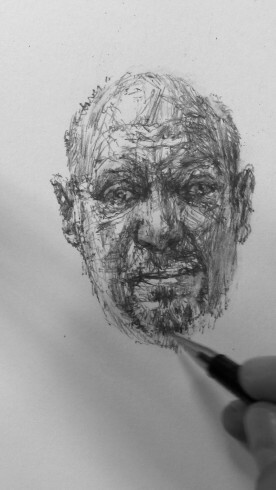 He often combines media, such as drawing, sound, photography and video. 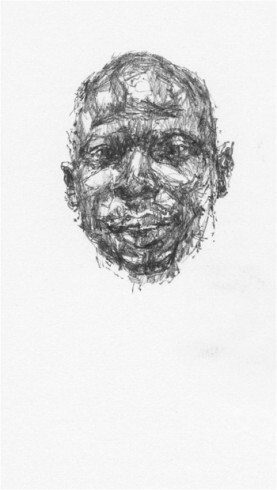 His multi-layered portraits present a heightened sense of individuals or collective communities, and of how we interact with one another. 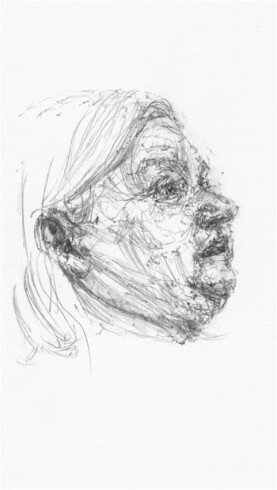 Central to Linear is an acknowledgement of the inability of any portrait to describe a subject adequately. 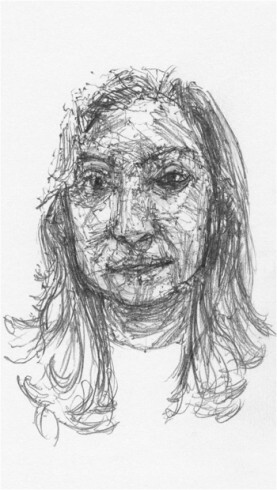 Rather than attempting to depict the hundreds of staff who work on the Jubilee line, Linear evokes a sense of their personal contributions through the detailed portrayal of just 60 individuals. 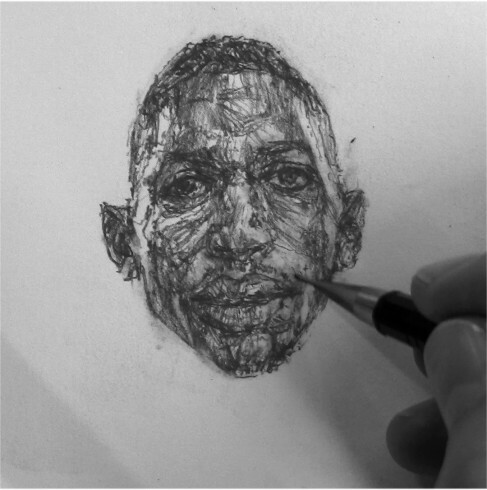 A similar process of condensing occurs in each of the separate film portraits, where the real-time development of the drawings is speeded up and the conversations edited into intense (but inevitably incomplete) representations of each person. 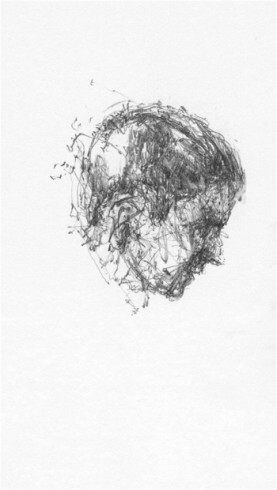 The investment of time becomes an underlying theme. 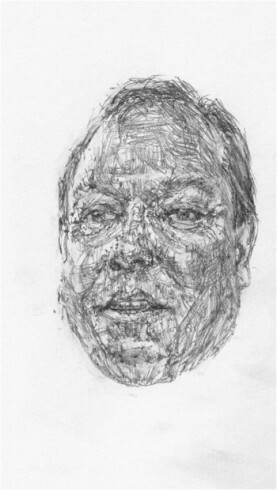 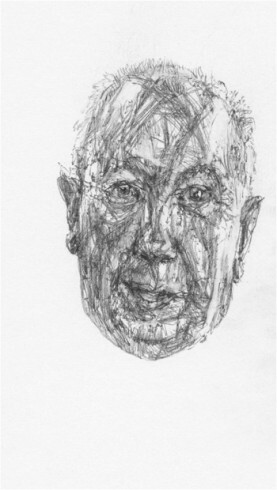 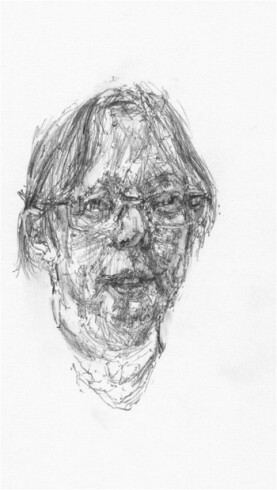 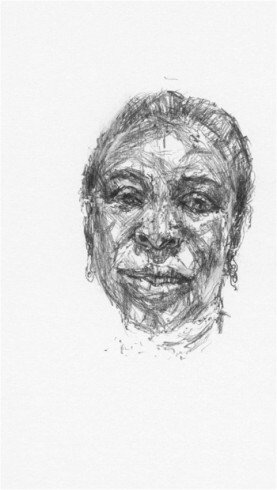 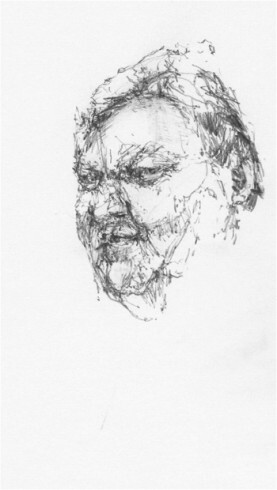 This is emphasised in the captions accompanying the drawings, where the time taken to make each portrait is juxtaposed with the number of years the member of staff has worked on the Jubilee line. 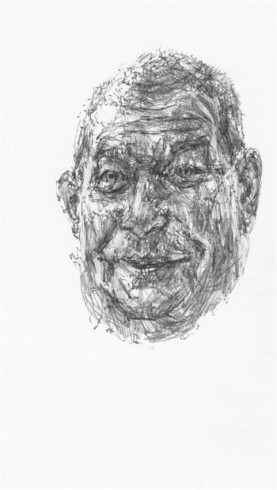 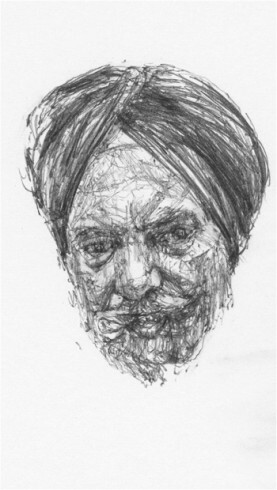 The portraits were drawn in a variety of locations, including train operator’s cabs, signalling towers, management offices, station control rooms, ticket offices and gates. 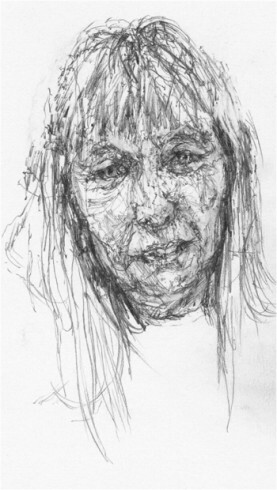 Through the intertwining of these individuals’ varied roles, with the abundance of their personal revelations and experiences, different themes emerge encompassing life, death, love, personal obsessions and aspirations. 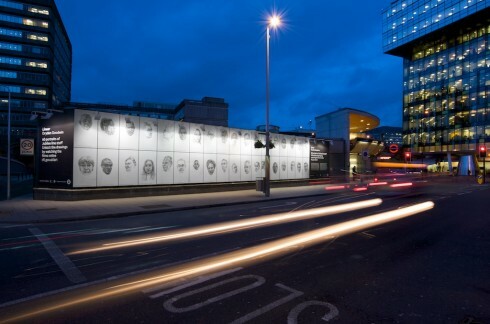 In this way, Linear evokes both a physical and emotional mapping of the Jubilee line. 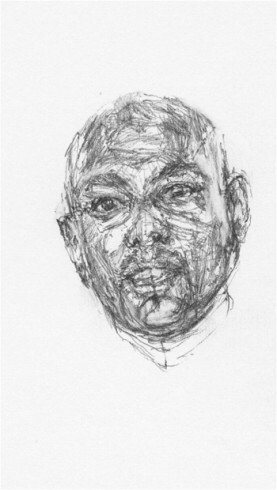 For Goodwin, ‘Linear exists as a repository of insights and histories, anecdotal and factual, revealed through the interplay of the drawn line and conversation, that is unique to the Jubilee line at this particular point in time.’ Linear will be presented across the London Underground network on poster sites, digital screens and leaflets, with exhibition sites at Southwark, London Bridge and Stanmore Underground stations. 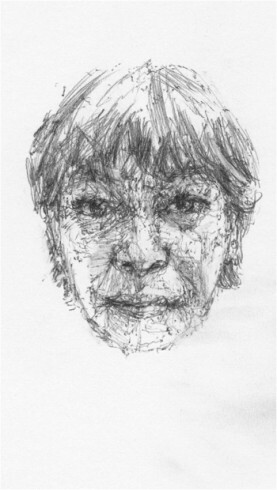 All 60 films can be viewed online. 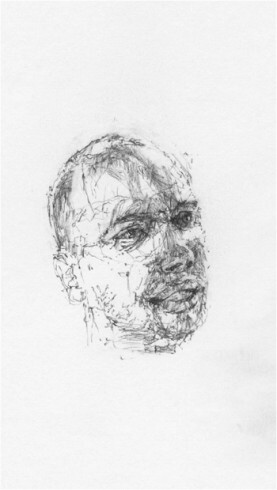 'Linear' by Dryden Goodwin for Art on the Underground - documentation from Dryden Goodwin on Vimeo. 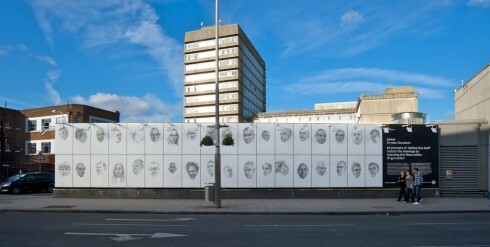 Artworks for this project are not currently available to visit. 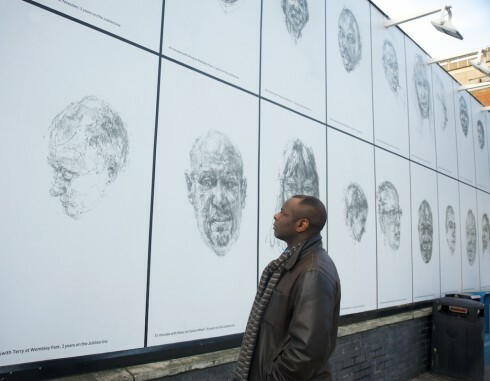 The stations where they were / will be installed are listed below.